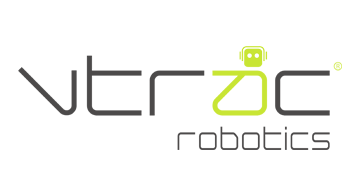 VTRAC Robotics develops, customizes and commercializes robots to enhance human life by offering solutions to financial, retail, entertainment, education, healthcare and transportation industries. We offer innovative advanced analytics and artificial intelligence technologies by optimizing platforms and products such as Google, Amazon and IBM. VTRAC Robotics partners with organizations across North America and SME’s around the world to bring a seamless integration of robotics' efficiencies through robotic process automation, platform integration, micro-services and AI solutions. VTRAC Robotics is a division of VTRAC Consulting Corporation, founded in 1993 and powered by over 120 professionals with headquarters in Toronto, and offices in New York, Houston and Shenzhen. VTRAC seeks clients in banking, retail, education, healthcare and partners in AI applications.